Every Monday at the Falls of Schuylkill Library around 4:15 p.m., our Children’s Department welcomes two special visitors. Wally and Orchid, while there to hear some stories and make new friends, are not your regular storytime attendees—they are both trained therapy dogs! They visit the library to help our school-age readers become more comfortable with reading out loud. 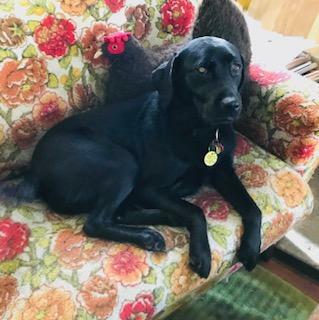 Wally and Orchid are both members of Therapy Dogs International, a volunteer organization focused on bringing certified therapy dogs to places they are needed, such as hospitals, schools, and nursing homes. Every dog must pass an evaluation to be part of the program. The goal of Therapy Dogs International’s reading program is to provide a relaxed and friendly environment for students to practice their reading skills in a calm, non-judgmental space. Reading to therapy dogs is a popular program at libraries across the country and with good reason—students who read to therapy dogs begin to have more positive experiences and better associations with reading, which help their academic performance and self-confidence inside and outside the classroom. Our after-school students are always excited when one of the dogs shows up and their confidence visibly grows after reading to them. Some children are initially hesitant to sit down to read their chosen book aloud but after a few times sharing a story, they sit on the rug with their book in hand, waiting for their turn to read. Wally and Orchid are always happy to hear the stories the children want to share with them. 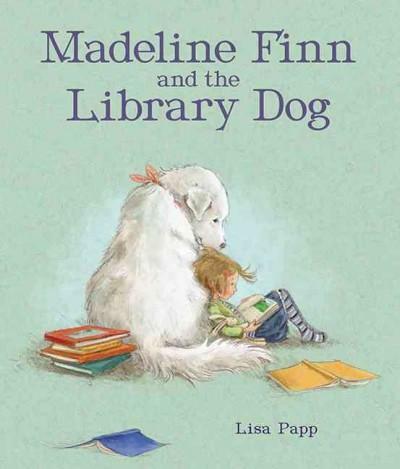 As for the perfect book to read to one of our therapy dogs, I highly recommend Lisa Papp’s Madeline Finn and the Library Dog. 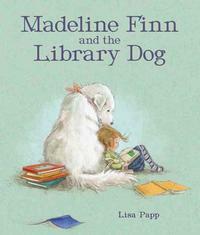 It’s a wonderful picture book about the confidence children can gain when they practice reading to a dog in the library. Have a child who is interested in reading to a therapy dog? Several neighborhood libraries across the city hold Read to a Dog programs. View our Events Calendar for the next program happening near you and feel free to stop by Falls at Schuylkill Library and read to Wally and Orchid—they’ll be happy to meet you! Great article! Wally and I love our visits to the library and love listening to the children read to us! Thanks Meredith for the article. Add a Comment to Therapy Dogs Encourage Reading at Neighborhood Libraries!